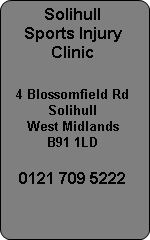 Solihull Sports Injury Clinic use 3D Laser foot scans as part of their analysis for foot biomechanical assessments. Prescription orthotics from Atlas are the best orthotic on the market in our opinion and we ensure they are right for your individual prescription by an in depth biomechanical assessment, weight bearing and non weight bearing before laser scanning your feet. 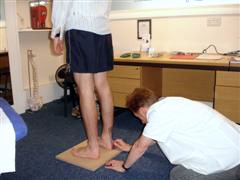 Video Gait Analysis, walking and running on a treadmill then follows before the information is completed and your prescription has been finalised.